Well, the silly season is upon us, that’s for sure! For most of us that means celebrating and entertaining is on the cards. Impress your guests this Christmas with a glamorous bar cart. 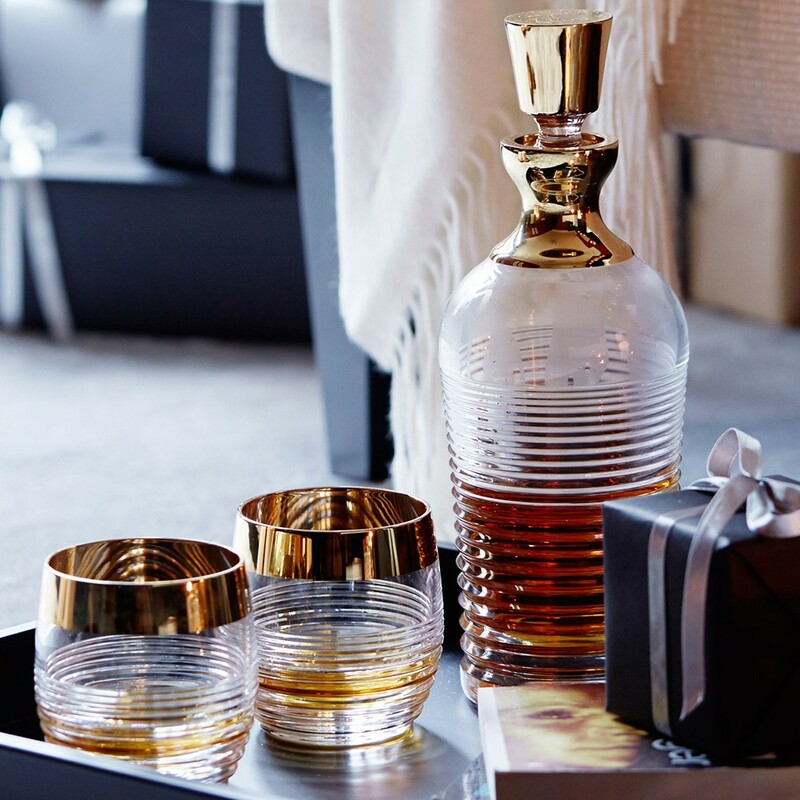 Not only is this fabulous accessory a lovely piece to add to your home but it’s also a convenient place to store your barware, glassware and drinks. And it can be used as an additional surface to serve nibbles from when entertaining. 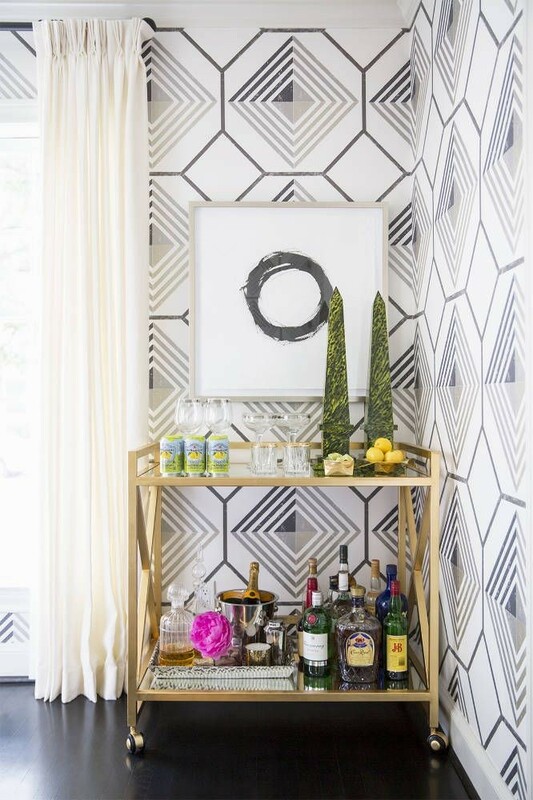 But why have bar carts become so popular?  We believe that this design trend has been spurred by the reinvention of ‘imbibing’. Gone are the days of the vodka sunrise and the rum and coke. The bar scene is alive with hipsters and cool kids knocking back their Tommy’s Margaritas and Whisky Sours. Prohibition-style cocktail bars are popping up everywhere and the search for the perfect sip has become the mission of most. 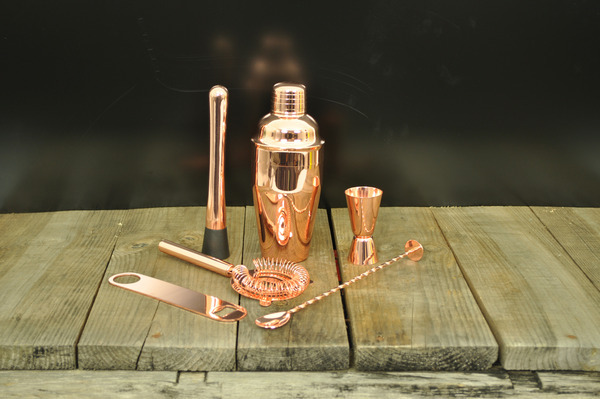 We are seeing an influx of amazing, high-quality barware and glassware ranges hit the market, inspired by The Great Gatsby, Mad Men and similar hit shows. Boutique distilleries and small batch liquor makers are stepping up the standards and expectations of boozers and it is not just in the taste and quality of the beverage that matters. The glassware drinks are served in, has become a priority as well. 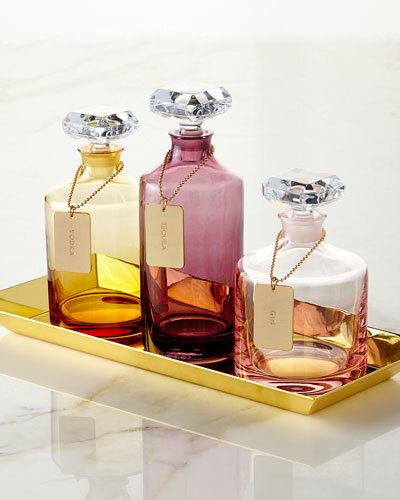 Vintage glassware and crystal decanters are back in business and we have to admit we’re pretty happy about this situation. 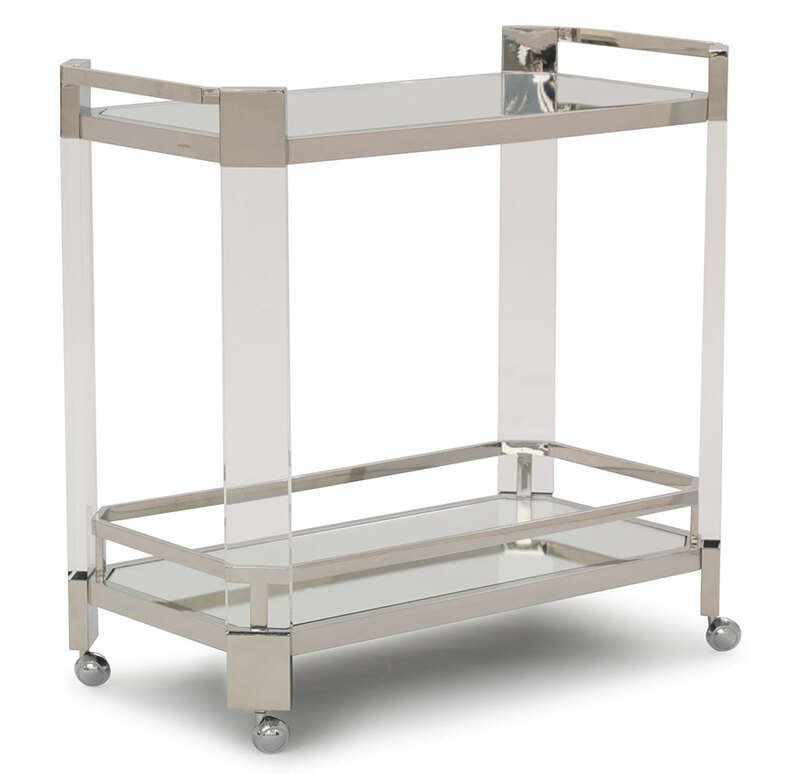 So why not grab your own drinks trolley and get amongst this very fabulous trend? In the New Year, when the fun and games have died down, your bar cart can be transformed into a stunning point of interest in your living or dining room. Style the shelves with a lamp, posies of fresh blooms, a tray of trinkets and interesting objects or a stack of beautiful coffee table books. 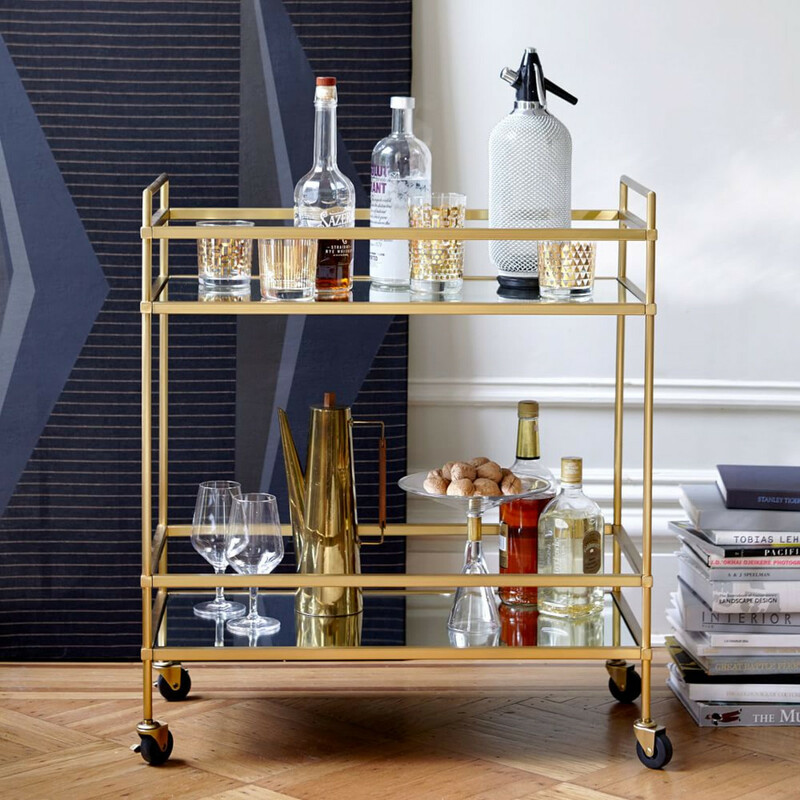 Terrace Bar Cart in Brass by West Elm. 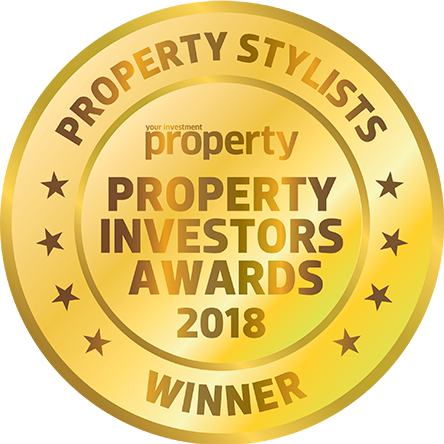 Vault Interiors are specialists in styling homes for sale, for more advice from a house stylist contact us today.